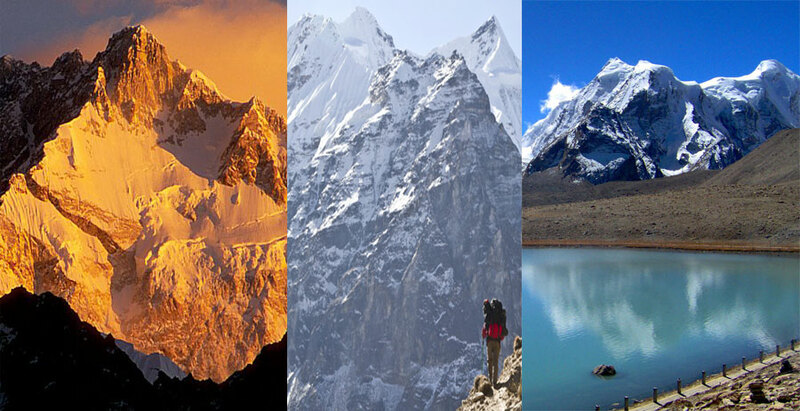 Mount Everest is the 1st highest mountain on earth and also known as Sagarmatha in Nepal and Chomolungma in Tibet and its located in Mahalangur of the Himalaya, Its Peak is 8848 Meters above sea. Edmund Hillary and Tenzing Norgay was the first pair who reached and summit on 29 May 1953 but the Edmund Hillary who belongs to New Zealand was to first who put his foot on the summit. 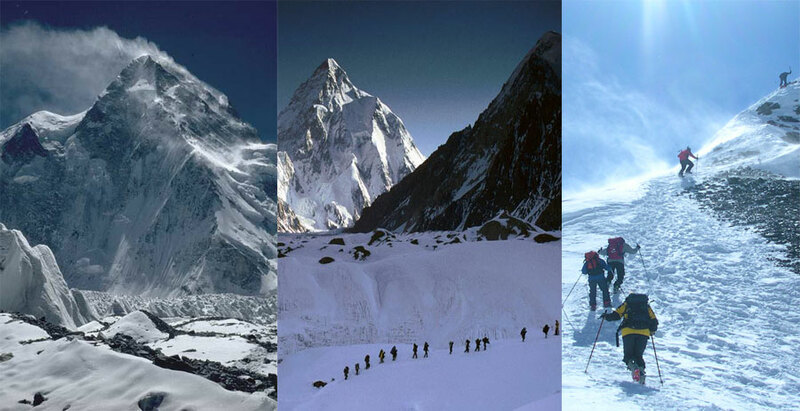 K2 is the 2nd highest mountain on the world and its Peak is 8611 Meters above sea level and its located in Gilgit Baltistan a northern side of Pakistan, K2 is the highest mountain of the Karakoram range and highest in Pakistan as well, Many peoples attempt to reached on peak of K2 but they die because of extreme difficulty, It’s a very hazardous to reach on peak of K2 from china side so usually climbers try to reach there from Pakistan side, A Italian expedition finally succeed to the summit of K2 on 31st July 1954 under the led of Ardito Desio with 2 climbers Lino Lacedelli and Achille Compagnoni and with a Pakistani member Colonel Muhammed Atta Ullah who was also part of American expedition in 1953. 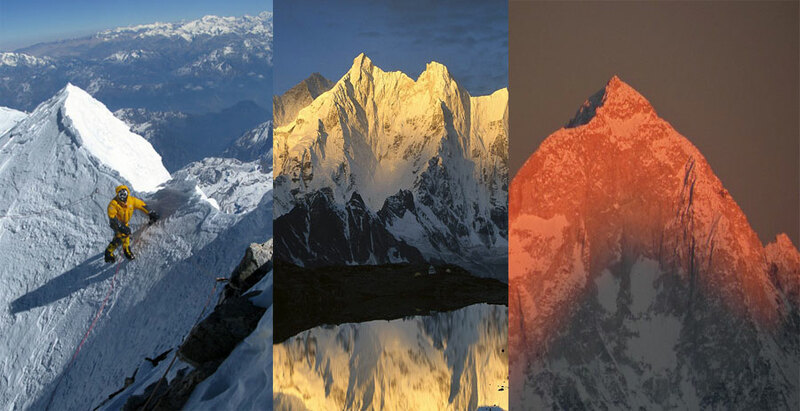 Kangchengjunga is 3rd highest mountain on the world also known as Sikkimese in Nepal and its peak is 8586 Meters above sea level and its located in eastern Nepal & Sikkim India, Joe Brown and George Band was the first who made the ascending in 25 May 1955. 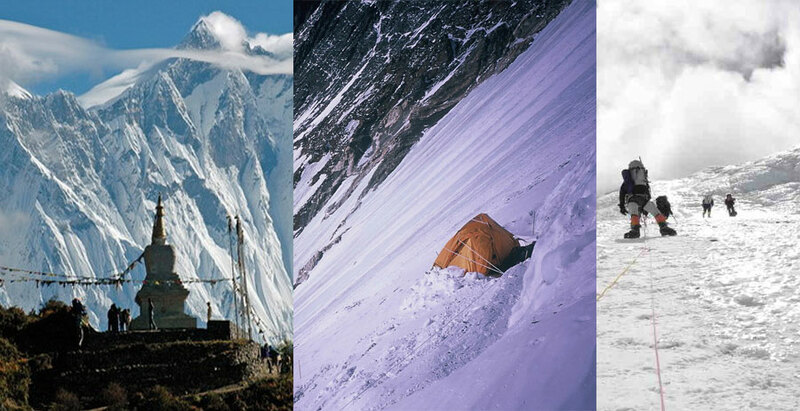 Lhotse is 4th highest mountain in the world, Its peak is 8516 Meters above sea level its also connected to Everest via south Col and located between Tibet and Nepal border, Lhotse was first attempt in 1955 headed by Norman Dyhrenfurth with 2 Austrian climbers Cartographer Erwin Schneider and Earnst Senn and 2 Swiss climbers Bruno Spirig and Arthur Spohel and first time expedition include 3 Americans Fred Beckey, George Bell & Richard McGowan and a Nepalese liaison officer Gaya Nanda Vaidya. Makalu is also known as Makaru in China and its 5th highest mountain in world and its peak is 8463 Meters and located in Mahalangur Himalaya on border between China and Nepal, In 1954 first time a American team climb to Makalu led by William Siri with Allen Steck , This was the first American expedition to Himalaya. 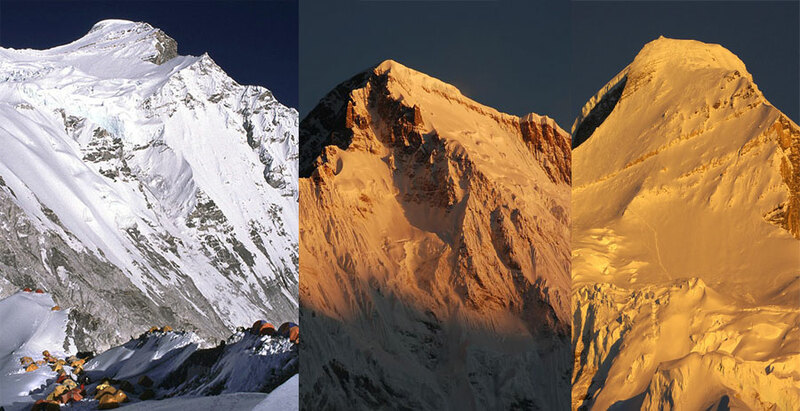 Cho Oyu is 6th highest mountain in world and its peak is 8201 Meters above sea level and its sub section of Mahalangur Himalaya and its located on Tibet and Nepal’s Border, Cho Oyu was first attempt in 1952 and expedition led by Eric Shipton with Edmund Hillary & Tom Bourdillon, On 19 Oct 1954 by a Austrian expedition it was first climbed by Herbet Tichy, Sherpa Pasang Dawa Lama and Joseph Jochler. 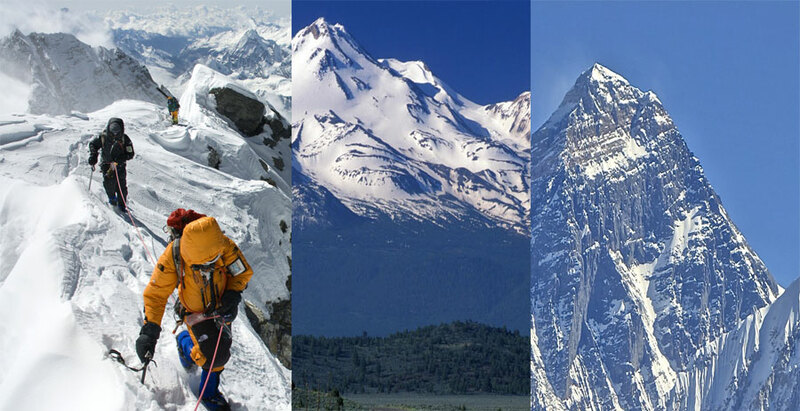 Dhaulagiri is 7th highest mountain in the world its peak is 8167 Meters above sea level and its located 120Km from Kaligandaki River west to Bheri Nepal, It was 1st climbed on 13 May 1960 by Nepali, Austrian and Swiss expedition. 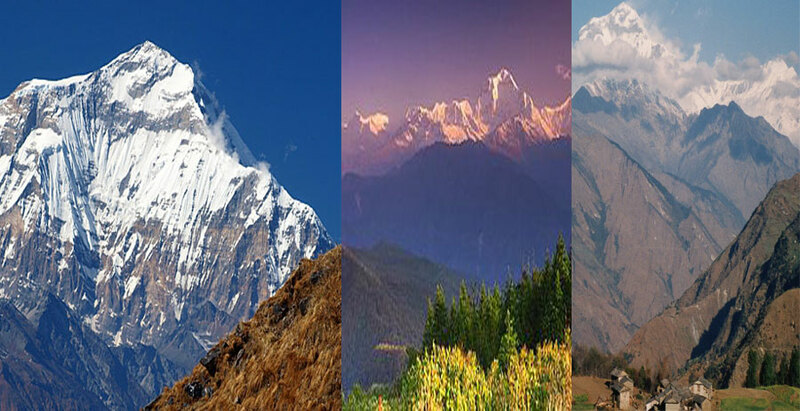 Mountain name is in Nepali Language and it come from Sanskrit Dhawala which means white and dazzling beauty and mean of Giri is Mountain so it becomes Dhaulagiri. 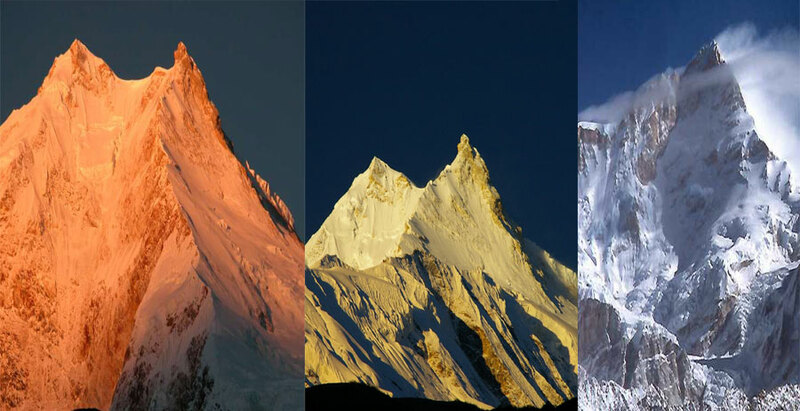 Manaslu is 8th highest mountain on the world and also known as Kutang in Nepali Language, Its peak is 8164 Meters above sea level and its located in Mansiri Himal the part of Nepalese Himalayas, Manaslu means the Mountain of spirits. 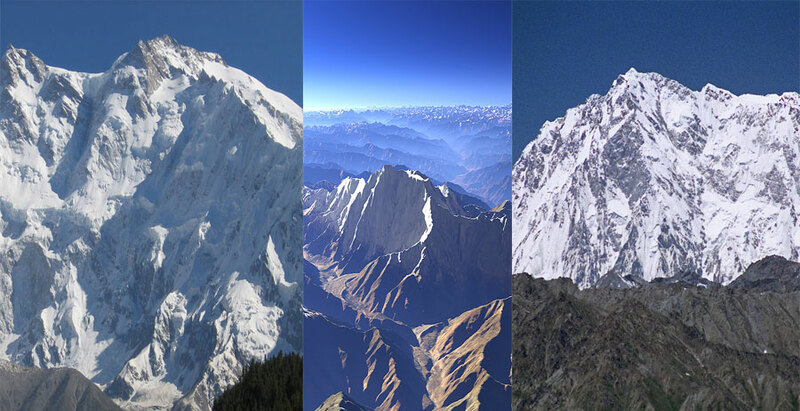 Nanga Parbat (Naked Mountain) is 9th highest Mountain on the Earth also known as Deo Mir in Pakistan and its nick name is killer mountain, Its peak is 8126 Meters above sea level, Its located in Gilgit Baltistan Province in Pakistan, In 3 July 1953 Nanga Parbat was first climb by Austrian climber Hermann Buhl, till now 31 peoples has been died to attempt climbing on Nanga Parbat, First ascend was made without oxygen and Hermann Buhl is the only man who mad first ascend on peak of 8000 Meters alone. 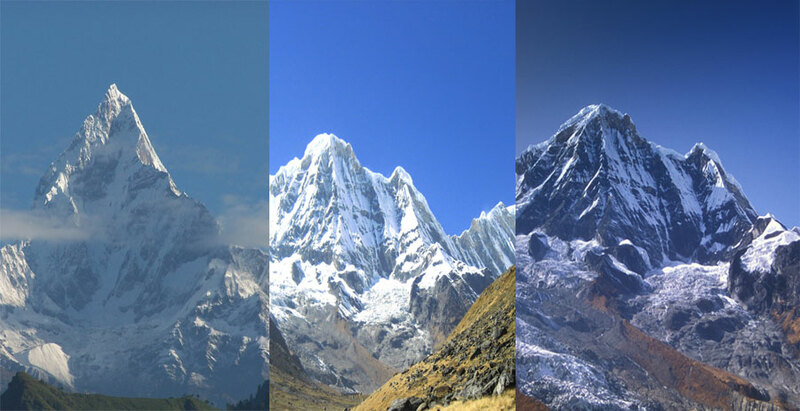 Annapurna is 10th highest mountain on the world, Its peak is 8000 Meters and its located in Nepal, On 3 June 1950 reached summit by Maurice Herzog and Louis Lachenal from French expedition with Lionel Terray, Gaston Rébuffat, Marcel Ichac, Jean Couzy, Marcel Schatz, Jacques Oudot andFrancis de Noyelle.